Will 당신 가입하기 my Classic 디즈니 Quote Game? Which is your 가장 좋아하는 elephant? 가장 좋아하는 디즈니 Jungle Cat? Any PC/Video games where 당신 can play as Huey, Dewey and Louie? The 디즈니 Celebration on ABC Family.... Did 당신 hate it? Below are four lists of 디즈니 songs that either have lyrics that apply 또는 just have a vibe that I associate with a particular season. This is 의해 no means a complete list, as I have only included songs I'm familiar with that feel seasonal. So here are a few 디즈니 Truth Bombs, of varying degrees of truth and image quality, ranging from serious to not-so-serious. Hope 당신 get a nod 또는 a smile out of 'em. 2.Aurora is the only 디즈니 princess with 제비꽃, 바이올렛 eyes. 4. 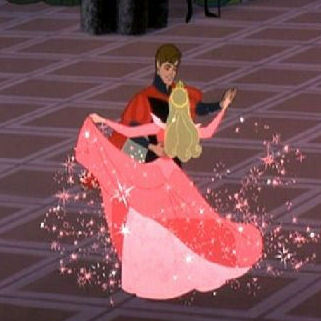 뮬란 is the 초 디즈니 princess , after Belle, to come in contact with snow. Ah, the 질문 that everyone who has stumbled upon this spot has surely asked themselves. It's been asked in 투표 form multiple times. There have been many discussions on the subject. The spot 모토 defines a 디즈니 Classic as "anything before the 픽사 era", making the cutoff 1996, when Toy Story premiered. Most of the picks/polls about the subject have Pocahontas (1995) 또는 Tarzan (1998) in the lead. Some 팬 believe that only the films on the official list of 디즈니 Animated Classics are true classics. A 디즈니 Tale: Jiminy Cricket introduces two tales - Bongo the 곰 (a slightly disturbing tale of 사랑 in the 곰 community) and Mickey and the Beanstalk (a 디즈니 version of the well-known fairytale). Why are so many of your mothers either dead 또는 of the evil step-mother variety, Disney? I had to dig a little to come up with this list, but behold! 5 great motherly figures from Classic 디즈니 movies! Disney's 12 principles of 애니메이션 is probably the most important knowledge I have. Here they are clearly animated and explained. -3 will be published per day. I'm looking to liven up the place a little, not spam 당신 to death. -It'll get a little 더 많이 obscure as it goes on, but I've tried to include at least one thing that most people should be familiar with in each pick. a comment was made to the poll: If "When 당신 Wish Upon a Star" wasn't the trademark 디즈니 song, which of these early songs would be? a comment was made to the poll: Classic 디즈니 Decisions | #99 | Choose your favorite! a comment was made to the poll: Classic 디즈니 Decisions | #100 | Choose your favorite! a comment was made to the poll: Which 디즈니 movie has the worst sequel do 당신 think? a poll 추가되었습니다: If "When 당신 Wish Upon a Star" wasn't the trademark 디즈니 song, which of these early songs would be? What were the names of the two 요정 that were fighting over the color of Aurora's dress? what is your 상단, 맨 위로 10 fav 디즈니 movies?